As you grow older, an active lifestyle is very important. Do not regret growing older. It’s a privilege denied by many. Your body is made to move. Keep your walking shoes on even when the world is telling you to retire and relax. The best strategy to enjoy your golden years is to give your life more quality by exercising regularly. 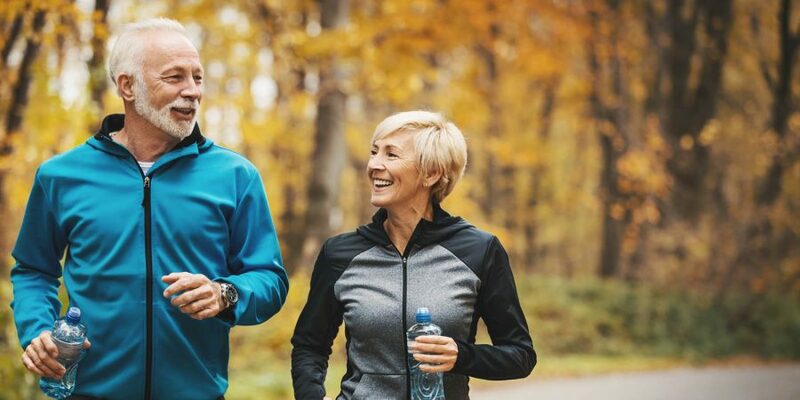 The American Council on Exercise reports, “As you grow old, regular exercise can help boost energy, maintain your independence, and manage symptoms of illness or pain. Exercise can even reverse some of the symptoms of aging. Remember you are never too old to start exercising, and strength training in particular only becomes more important with age. It is the most important part of your exercise program as it helps dilate the blood vessels and in turn supplies enough oxygen to the muscles. By slowly raising your heart rate, it ensures minimized stress on the heart. Do these exercises for 1 minute each without a break. Jog on spot– 1 minute: Jogging on spot is the best for warm up. If you want low impact, march on spot with high knees. Punching – 1 minute: Stand with feet shoulder-width apart. Hold your core to support your spine. Punch one arm at a time at a steady pace. Squats– 1 minute: Stand tall with your feet shoulder-width apart. Bend your knees and extend your buttocks backward as if you are going to sit back into a chair. Make sure that you keep your knees on your toes and your weight in your heels. Rise back up. If this is not possible, go for wall squats. Lie flat on your back with your arms and legs up in the air, your knees bent. Press the small of your lower back into the floor. While keeping your core tight and knees bent, lower one leg toward the floor and the opposite arm behind you. Pause, then lift them back up to the starting position. Repeat with the opposite arm and leg as many times as your body allows without pain or straining. Stand on a flat surface near a counter or a pillar for support. Stand on one leg to start balancing. Focus on a point further away from you and control your balance for about 1 minute. Repeat with the other leg. If you want to challenge your balance more, close your eyes. Be careful to avoid falling.